The lack of access to technology and WiFi in the home limits educational and extracurricular opportunities in computing and beyond. 46 % Just 46% of households making under $30K per year have access to the internet at home. Black and Latinx families are less likely to have access to broadband Wifi in their homes than White families. Access to the internet at home is substantially different by income, with lower income households less likely to have access than higher income households. Personal computer ownership varies greatly by race/ethnicity and socioeconomic status. Higher income individuals own computers at almost twice the rate of lower income individuals. Disparities in funding and resources at the K-12 level directly and negatively impact the quality of education students receive and affect the opportunity to develop fundamental skills. High-poverty and high-minority districts receive less in school funding from state and local taxes (and parental giving) than low-poverty and low-minority districts. Students attending high-poverty schools have less access to computers, internet connected classrooms, and science labs than their more advantaged peers. School funding disparities also contribute to disparities in teacher pay, experience, and qualifications, and extracurricular activities (e.g., art and music). Teachers in high-poverty schools are more likely to report that facilities were a major challenge in science education, they receive too little support in assessing student learning in science, and have fewer school-wide science initiatives than low-poverty schools. High-poverty school districts receive $1,200 less in school funding per student per year than low-poverty school districts. For a 1,000-student high school, this adds up to $1.2M in missing resources yearly. Low-income students and students of color are less likely to have teachers with content knowledge and experience (two key indicators of effective STEM teachers) in their classrooms. Students in high-poverty or high-minority schools are much more likely to have science teachers with fewer than 2 years of experience than their counterparts (21% vs. 14%). Mathematics and science high school classes at high-poverty schools are more likely to be taught by teachers without credentials or authorizations to teach in their field, and turnover is much higher in these schools. Teacher preparation and certification are the strongest correlates of student achievement in reading and mathematics. Just 20% of students attending high-poverty schools have math teachers with full credentials and/or authorization to teach mathematics. Access to computer science and advanced math and science courses is critical to developing the knowledge necessary to pursue computing and engineering in post-secondary education. Yet, there are large gaps in access to these courses by race and SES. 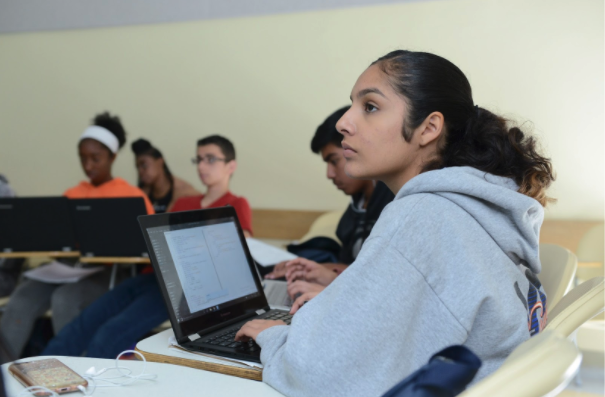 Low-income students and students of color are much less likely to have access to computer science courses at their high schools than their peers. Students who take AP Computer Science are 8x more likely to major in computer science. Students of color are much less likely to have access to the full range of math and science courses (Algebra I, Geometry, Algebra II, Calculus, Biology, Chemistry, Physics) in their high schools than White and Asian students and less likely to take AP math and science exams. Students who take AP math and science exams are more likely to earn STEM degrees than students who have not taken AP math and science courses. Even when AP CS A is present, there are often no ramp-up exposure courses or introductory courses necessary to develop interest in and preparation for more advanced AP CS A.
High-poverty and high-minority schools offer AP Computer Science A at a rate 12x lower than low-poverty and low-minority schools, resulting in lower participation rates among underrepresented students. Extracurricular activities can stimulate interest and skill building in computing, yet students with limited financial resources lack access to these out-of-school programs, activities, and camps. Participation in extracurricular activities is associated with positive academic outcomes, including college graduation. There are significant income-based disparities in participation in extracurricular activities, with students from families with more financial resources more likely to have the ability to participate. 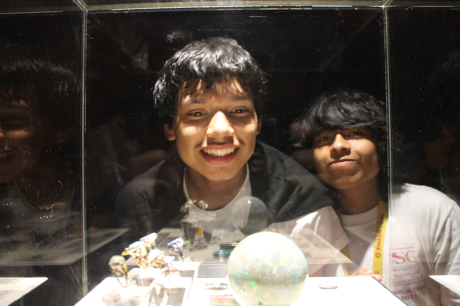 Costly summer and weekend programs and workshops are often not accessible to low-income families, and these students miss out on critical skill development opportunities. Coding and robotics camps can range in cost from $300-$5,000 per week, a burden for many low-income families. Stereotypes about math, science, and computing ability are shaped by media and popular culture and can be reinforced by peers, parents and teachers. In middle school, students hold perceptions of computer scientists as “male” and with stereotypical “nerdy” attributes. Men and women hold perceptions of computer scientists as lacking interpersonal skills, hyper focused on computers, and incompatible with communal and societal goals. Parents and teachers hold gender-stereotyped beliefs about math ability and these beliefs affect students’ perceptions of their own math ability. These stereotypes negatively affect interest and self-efficacy in computing and career aspirations in computing. Gender stereotypes associating boys with math appear in children as early as elementary school. The internal threat or fear of confirming a negative stereotype associated with one’s marginalized group membership can affect academic performance and career aspirations. Stereotype threat is activated in situations where members of a negatively stereotyped group fear confirming the negative stereotype about their group. This threat is particularly prevalent for women and people of color in STEM fields. Stereotype threat decreases the academic performance of women and people of color in math, and decreases identification with the domain in which the group is negatively stereotyped (STEM fields for women and people of color). 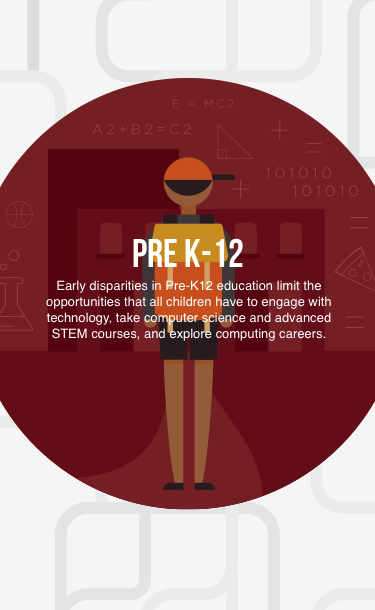 Stereotype threat can also prevent underrepresented groups from wanting to engage in computing or pursue careers in STEM or computing. 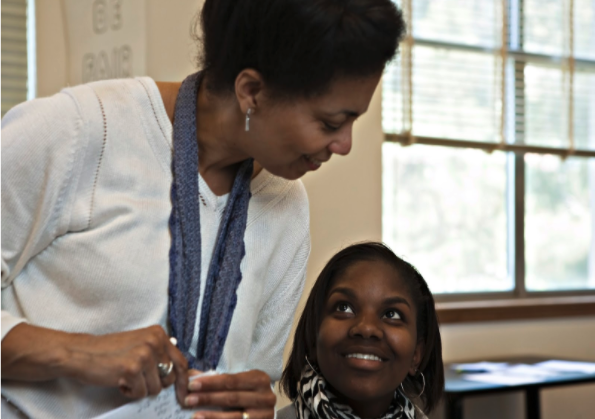 Interventions including growth-mindset messaging, values affirmations, reframing tasks, and teaching about stereotype threat can reduce the impact of stereotype threat. 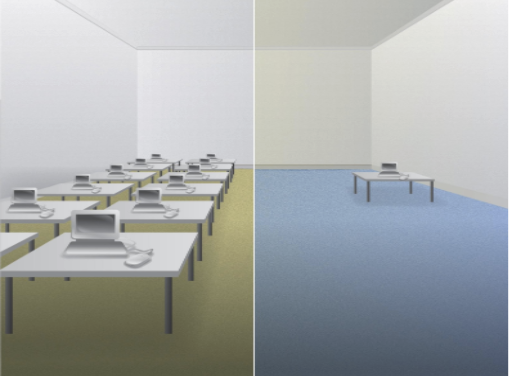 The computing environment can include subtle and overt cues that signal belonging or exclusion for different groups of students. Unbalanced racial and gender representations in classroom environments can activate negative race and gender stereotypes among underrepresented groups. Classrooms with predominantly male students can reinforce negative stereotypes about the ability of women to succeed in computing. Contextual cues in the computer science environment (e.g., posters/media with depictions of white males) can lead to decreased interest, belonging, and aspirations among women and people of color in computing. 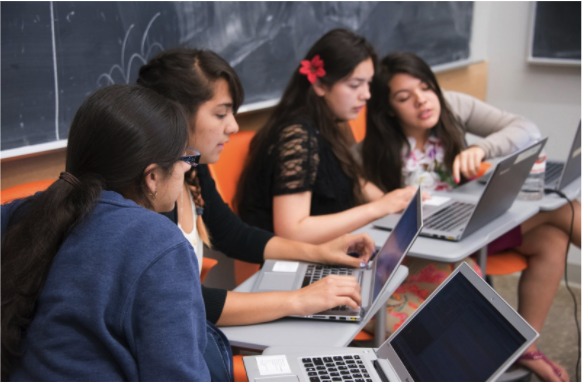 The curricular and pedagogical approaches to teaching computer science can also be exclusionary for students who don’t see connections to their background, culture, experience, or interests. Role models and mentors provide both inspiration and guidance for educational and workforce pathways in computing, yet there are a lack of role models from diverse backgrounds. 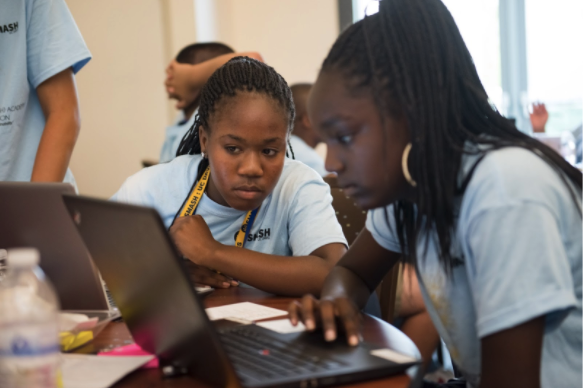 A lack of role models and mentors can have a detrimental effect on underrepresented students’ engagement and persistence in computing and STEM education. Exposure to stereotypical role models in computing has a negative effect on women’s interest in computer science, and this exposure can be pervasive in media and classrooms. When female students have a female STEM instructor, they have greater confidence and STEM aspirations than female students who do not. Exposure to same-race role models is associated with a significant increase in STEM identification and aspirations.